Delorme InReach SE …. Now in stock, Available for Immediate shipment! 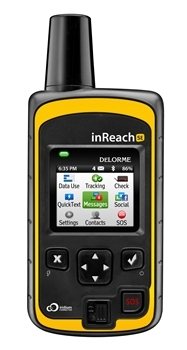 The long awaited for Delorme inReach is now in stock and available for immediate shipment. Stay Safe and In Touch when off the Grid. Offering 3 different monthly service plans there is sure to be one for every budget. Plus, activate your inReach in either June or July and get 2 months Free Airtime!